At the heights of Tarantino fever in the late 90s, Guy Ritchie stepped onto the scene as a talent unmistakably in the same brand, yet definably a different flavour, the Fanta to Tarantino’s Coca-Cola. And this, his debut, I think can stand along with the likes of almost any directorial debut as one of the very best, or at least most entertaining. An impeccably told gangster-comedy that seamlessly ties together, small time hustlers, big time loan sharks, useless thieves, ruthless mobsters, a fatherly hitman, and hapless stoners, with such finesse and wit you never question why or what you’re seeing and completely trust what you needed to see at that point. Penned by Ritchie himself it sings as a dark comedy just as much as a sprawling gangster flick, topped-up with quick quips knee deep in London slang that enriches the mood and characters while never alienating you from understanding what’s being said, unless for the sake of comedy. It’s a sheer joy to watch with laughs that have still yet to stale, mainly because theres just too many to focus on at once in almost every scene. But as I said, what really leaves an impression on you is the plotting. Not a loose thread goes untied as all the lines wind together into a climax that will leave you hanging like the end of the original Italian Job. On top of launching Ritchie, this film also marked the debut of our modern action aficionado, the audaciously charismatic Jason Statham, and will forever serve as a reminder that there’s more to this actor than his fists. 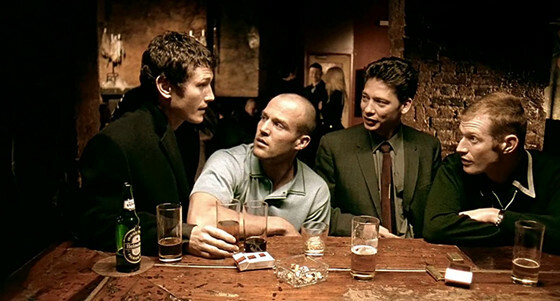 But really what this film comes down to, and why nearly twenty years later it still stands as one of the quintessential British gangster films, is because it’s just damn cool. And it is one of the few exceptions on this list where you have to call it by its full title, because it’s too fun not to. One of the most criminally overlooked period dramas of the last two decades. It truly captures the pioneering spirit but brutal authenticity of nautical adventure of the time. 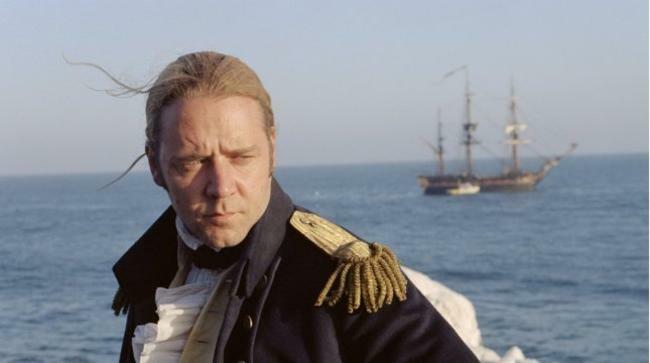 Cinematographer Russell Boyd and director Peter Weir worked tirelessly to emulate the swashbuckling, but beautiful realism of the period, and do so, so well you can’t help but be transported to the 1800’s and get lost amongst the men aboard the HMS Surprise, as they fight for survival against rival ships and against the very high seas themselves. Led by a definitive Russell Crowe and supported by a still underappreciated Paul Bettany, they command the screen and make sure the desperately realistic and historical look at the 1800’s French war, with all the nasty bits in full view, still resonates with the undeniable and relatable humanity needed to capture the sense of fun and adventure the audience desperately want to live. It’s the rare grand epic that works in a surprising number of ways that similar films just don’t. It’s a prestige piece, but is never drab. It’s an entertaining high seas adventure, about the horrors of war, both things its title manages to capture. And it is filled with large scale eyegasmic set pieces, but still feels small and personal down to the last character. It’s an example that other period films of any genre should learn from – just because it’s a period utterly unlike our own, doesn’t mean it shouldn’t be relevant and relatable to us now. A romantic film about a break-up. That’s what this conundrum of Sci-fi and dramatic Rom-com is. Not a film about someone finding new love after a break-up, but the romance derived from the break-up itself. The film thrives on the sweet melancholy that exists from still being in love with who you’re letting go, and tells the story of a man trying to work out if he should let go at all. 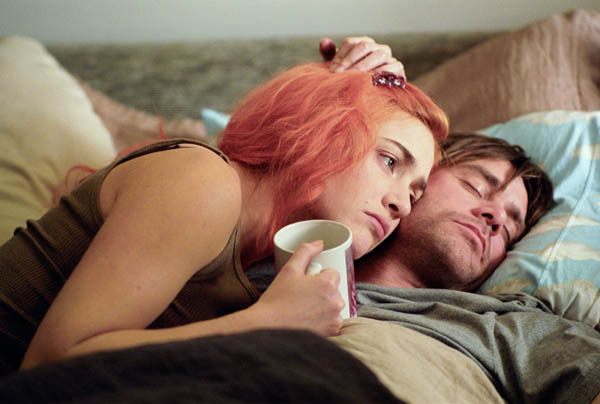 The brain child of Charlie Kaufman and director by Michel Gondry, Eternal Sunshine of the Spotless Mind is truly… unique, set predominately in our protagonists Joel’s mind, played by a never better Jim Carrey, as he gets the memories of his girlfriend Clementine erased, played by an equally heart-breaking Kate Winslet; only to have his love for her rekindled as he revisits the worst and best of their time together. One of the first things that will strike you about this film is its structure, Kaufman brings his signature oddness, as the film starts almost at the end and then none sequentially works its way back then forwards. But unlike almost every other film that starts partway then goes back, this isn’t used to just shallowly yank the viewer into the plot, but is actually more similar to the structure of Momento, being used to draw the viewer into the dreamlike, non-linier process of our protagonist’s thoughts and memories as he is experiencing them. He is disoriented and so are we. We are Joel, is the big and small of it, as any viewer of a certain age will relate to his shy and mournful heartbreak of seeing the one he loves ‘move on’ as it were; and lofty premise aside that’s why this film is great. As past all the complex plotting, its emotional core is undeniably true. Break-ups hurt, but only because there was such love there before, and as we and our protagonists learn; no matter the pain, living with the hurt is better than forgetting the love; and that’s where the irony in the title lies. 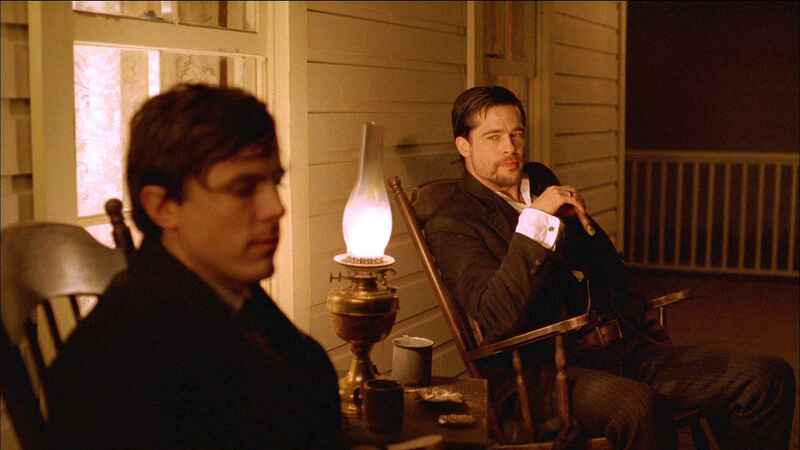 The little seen but critically loved literary western, that is as much about gunslingers and the old west, as Fight Club is about men fighting. If the title was just The Assassination of Jesse James, which many people refer to it as anyway, you wouldn’t be blamed for picturing one of the many fast paced action westerns that’s been resurging since Django Unchained. But it’s that second part, by the Coward Robert Ford, which lets you see its deeper inclines, and why this film is so great. As this is not a film about Jesse James and his death, as it is about Robert Ford and his perspective on Jesse James, and how that changes. As Robert Ford, played incredibly by Casey Affleck, starts out as a great admirer of Jesse, a hero he aspires to be. But once he gets to know the man, like the man, love the man, and ultimately realizes they will never be alike; when he finally sees Jesse beyond the myth, Robert kills him. Either to lay to rest his love, or more likely to try and take it over. It’s a film set in the 1800s filled with cowboys and bandits, which manages to still be about the drastically modern ideas of fandom, obsession, and their perils. Though this is the heart of the piece, there’s plenty going on round the edges; Jesse’s gradual decent into insanity by the paranoia of his profession and the bizzare fame it has brought him, all played just as hauntingly by Brad Pitt; as well as the commentary on History’s tendency to simplify events into easy to understand stories for the masses. But the next best thing to take away from The Assassination of Jesse James is that it is a feat of visual art. Andrew Dominik and Rodger Deeken based the look of the film on the paintings of Andrew Wyeth and this comes across in spades in its constant use of lush but undersaturated landscapes; in the true blacks and the lights that punctate them. Beautiful images set to the soulful score by Nick Cave; it’s a film with a heavy intellectual bend but even more is one you just need to lay back and let wash over you- before you can dive deeper. What’s there left to be said about 2014’s best picture winner. 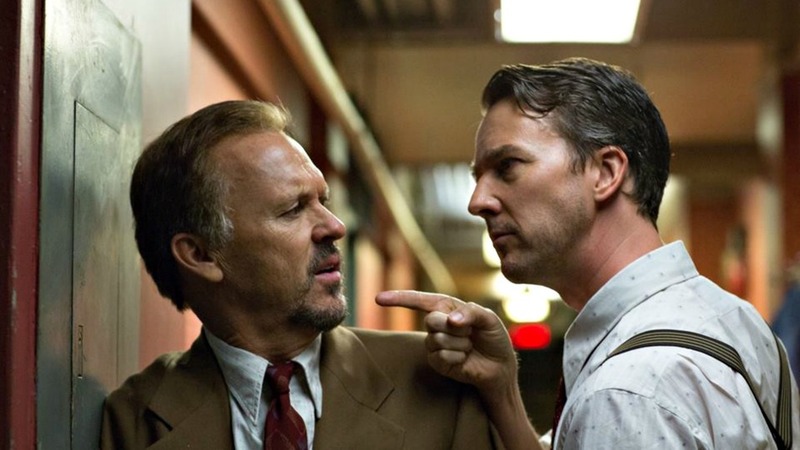 Overall Birdman is, if anything, a master-class of cinema. In terms of its acting, writing, music, directing, cinematography; everything a film needs to do well, it does phenomenally. Director Alejandro G. Iñárritu and Cinematographer Emmanuel Lubezki really out do themselves constructing the film to appear to be one uncut shot, which somehow in no way limits the large scope of the film, and gives the wordy picture the unstoppable and boundless energy needed to bring all its musings on fame and relevance in the modern age, together. But just as bold is the wonderful Keaton in his comeback role of the decade, bringing meta to a whole new level in his portrayal of washed-up superhero actor Riggan Thomson, which has just as many winks and nudges as you expect. Norton as well in his best role since Fight Club, playing into his ‘artiste’ reputation to portray a pretentious but brilliant stage actor, who steals some of the most memorable moments in the film. And from Emma Stone’s chemical turn as a Riggan’s drug addled daughter, to Zach Galifianakis’ surprise turn as the straight man to Keaton’s manic act; the whole cast is pitch perfect for their roles, and manage to do the rare feat of creating three-dimensions through interaction and not pure back-story. And on-top of all of this, Antonio Sánchez gives the film life, with an almost entirety improvised drumbeat score, with little else joining it but nothing else being needed. But the true statement of Birdman or (the unexpected virtue of ignorance) is that, while it is a cinematic achievement for all the technical reasons I’ve given, it does those while still being fun, and funny, and downright weird at times. It shows us that a seriously well-made film doesn’t have to take itself too seriously. Author Bio: Mark Tonkin is a flourishing screenwriter still attempting to have a career, a poor comic strip illustrator, and an all-round only slightly pretentious film aficionado.